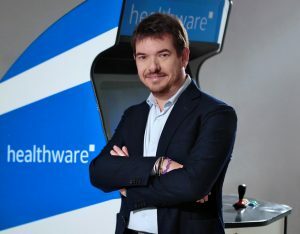 Yet, despite all these changes, and the fact that the Digital Health industry in Europe represents a promising and actively developing sector, it is still a young field with a host of challenges and problems. Healthcare is a complicated industry since it deals with the crucial issues of people’s health and life. It has historically been traditional and conservative, with lots of bureaucracy, and diverse stakeholders involved. Therefore, changing the old rules of the ‘game’ in a blink of an eye constitutes a rather complicated goal. Digital Health is a revolutionary transition that will take time before it is adopted on a regular basis. Telemedicine is becoming a significant trend: this new field offers a completely different degree of freedom and accessibility for both doctors and patients where geographic location is no longer a limit and the only thing needed is an Internet connection. Mobility and Cloud access are also changing the state of affairs. With records in the cloud, the old days of paper archives are gone with hospitals, insurance companies, and physicians’ offices are already having made the “patient data in the cloud” switch. Small and stylish Wearable Devices that can perform different health related functions to clinical specifications are starting to become common, even in the consumer marketplace. In addition to Wearables that continuously collect patient data in real time, we now also find applications of Big Data, Artificial Intelligence (AI) and machine learning that are now able to analyze patients’ data and anticipate their healthcare needs. Furthermore, we are also seeing a trend in the area of Healthcare Professional Adoption: clinicians have started to realize that Digital Health tools are capable of significantly improving the outcomes of the patients in their care. For example, physicians are now using websites like digitalhealthstorymap.com allowing them to find a specific digital health solution for their patients in a fun and interactive way. In parallel with this, however, there is a growing challenge posed by the need to educate physicians about Digital Health, as this type of knowledge is still not included in the curriculums they are taught in most medical schools. Today there is still a significant lack of knowledge on what services and digital technologies physicians could use, and how those technologies could help their patients. Digital Health literacy should definitely be raised. Finally, there are noticeable advances in some interesting and amazing areas of the eHealth, and this is for sure a positive trend. For instance, in genomics and microbiomics, as well as in what is in the pipeline of Digital Therapeutics, which is another exciting area to keep monitoring. Giving a precise forecast of where the industry is headed right now would be a challenging task. New technologies are booming, and what happens tomorrow in healthcare is still an open question. As we are seeing, it is not going to be easy to change the system rapidly, and the lack of financing is blocking many great ideas from reaching the market. This is why it is crucial to change our mindsets, for the healthcare industry to start being more accepting of these new technologies aimed at helping us. At this point, it is even more necessary to embrace the coming changes across the spectrum because these new trends are here to stay, but they are not going to evolve quickly or work as efficiently unless we are willing to support them and give them a chance. * Join Roberto Ascione at Frontiers Health 2017 to dive into 2 days of cutting edge innovations and future trends that will shape the world of healthcare.